1. 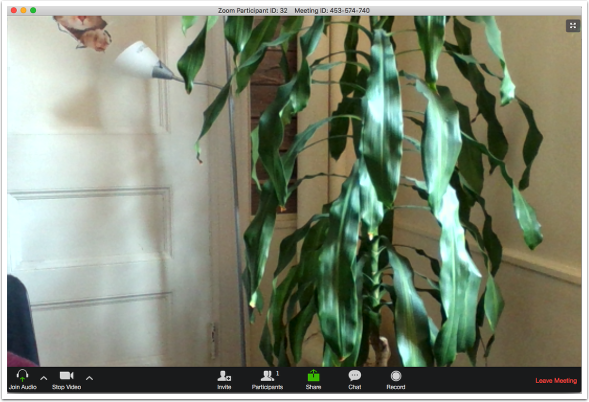 In your course in Canvas, click on Zoom. 2. 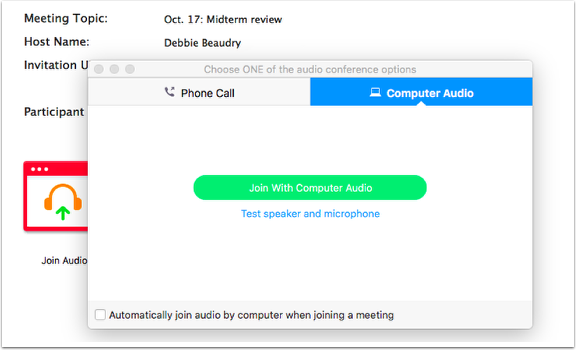 Find the name of your meeting and click Start. 3. When you're asked Open zoom.us? Click Open zoom.us. Note: If you've never used Zoom before with that browser on your computer, you'll need to follow the prompts to download the Zoom software. 4. 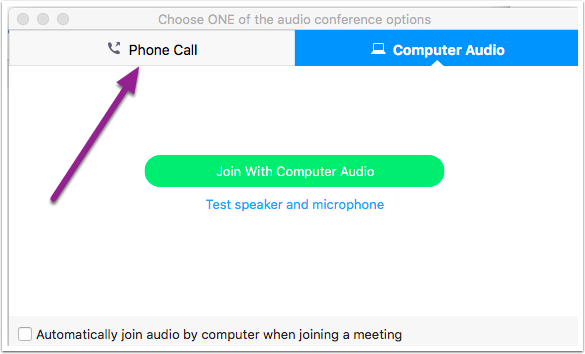 The Zoom meeting with begin and you'll be prompted to connect or test your speaker and microphone. 5.1. 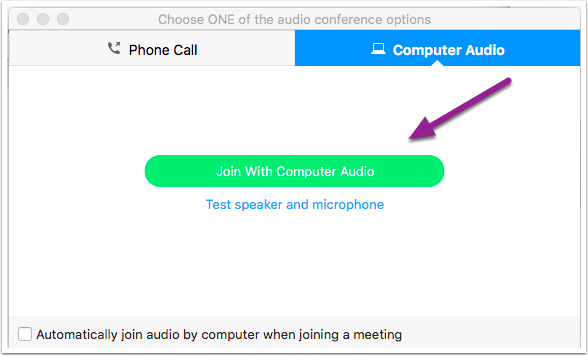 To use your computer microphone and speaker, click Join with Computer Audio. 5.2. Or, if you prefer to call in with your phone, click the Phone Call tab and dial the number provided. 6. Your meeting will then begin.